At the Filter Shop, it's all about clean air. Edmonton air filter manufacturer finds success staying close to the home market. For four decades, with skilful strategy and a bit of timely luck, The Filter Shop at B.G.E. has more than held its own against much larger international competitors. Now, after years with CEO Darrel Sutton in charge, this Alberta-based, family run filter manufacturer is undergoing orderly succession with his daughter, Roberta MacGillivray, as its new president. One might say Sutton got swept into the filter business. In 1968, after a year at the University of Alberta, he decided to halt studies and look for work while stipulating one condition of employment: it had to be a job where he could get enough time off to pursue his personal passion for competitive curling. B. Guthrie Engineering, an Edmonton firm specializing in HVAC equipment, gave the promising young curler a shot. Sutton was entrusted with a key sales position that covered Alberta and Saskatchewan in the engineering firm’s then-new offshoot, B.G.E. Service and Supply Ltd. The subsidiary distributed brand name HVAC filtration products from various manufacturers, among them American Air Filtration (later, AAF Canada). Payback for believing in Sutton came not only from his sales success. That time off for practise delivered the Alberta rink – led by the legendary skip Hec Gervais and including Sutton – the 1974 Brier. For Sutton, 1974 proved auspicious for another reason when owner Bud Guthrie named the curling champ general manager of B.G.E. Service and Supply. Over six years, Sutton had learned much about filtration. He got into the business just as Alberta’s energy sector was poised for growth and when there were changes in the air for indoor air quality: it was getting more attention from industry, health and environmental regulators. That included countering the negative impact of near invisible, micron-sized particles from tobacco smoke and other sources on people and production. In short, filters were capturing not only dust but new business. On Sutton’s watch from 1974 to 1981, B.G.E. experienced dramatic growth. It added branches in Calgary and Saskatoon and in 1981, the parent engineering firm offered to sell B.G.E. to several employees, including Sutton. The new stand-alone firm continued to operate as B.G.E. Service & Supply, but Darrel also coined a very appropriate trade name, The Filter Shop. As B.G.E. Service & Supply celebrates 45 years in business this year, it will be re-branded The Filter Shop at B.G.E. Eventually, Sutton bought out the other partners and The Filter Shop transformed itself into a privately held family concern. Darrel’s wife Dorothy and his brother Dean worked in accounting, while daughter Kelly was with the company for 11 years before stepping away to raise her family. The recently appointed president Roberta graduated from the University of Alberta in Commerce, and initially worked in IT before returning to the family fold. It took some time for The Filter Shop to move beyond supply and servicing to manufacturing. That shift began in the 1980s – by accident more than design. Its major supplier, AAF Canada, discontinued a stamped-header bag filter popular with customers. Sutton still saw the need for this product and invented what is now known as the BioPac. The Filter Shop bought AAF’s remaining inventory of the stamped-header product – enough to keep existing customers supplied for about two years – and a short-term interruption was transformed into a long-term opportunity. “It was a bit like finding a diamond in the backyard,” says Sutton. Meanwhile, with the blessing of AAF (which remains an exclusive supplier today) Sutton and company sought to replicate the BioPac, something the company did two years later just as the acquired inventory was running out. Patented in 1991, the BioPac filter was designed with a polypropylene diffusion panel header with double-reinforced pockets in custom lengths and capacities. The BioPac filter did more than help turn The Filter Shop into a manufacturer. It also underlined for Sutton a lesson learned by other Alberta suppliers and manufacturers – that products and components geared for use in Florida or Kentucky don’t always work well in Alberta’s extreme cold and heat. Sutton didn’t rest on his laurels. Continuous improvement meant that once a bag reaches the end of its life, 70% of its components can be recycled and re-used by The Filter Shop to produce “new” filters. In 1986, the company bolstered its credentials when it opened its Biolab Indoor Air Quality (IAQ) Services Division, which offers air-quality testing and HEPA (high-efficiency particulate air) filter certification. BioLab technicians are trained to test accredited biological containment cabinets – to ensure they meet stringent standards set by the National Sanitation Foundation in the US. Next, B.G.E. developed its own particle-size-based filter-testing laboratory to ensure its products’ quality and performance. The American Society of Heating, Refrigerating and Air Conditioning Engineers (ASHRAE) has subsequently adopted laser-based particle-sampling testing as a protocol. In the late 1980s, The Filter Shop faced another potentially crippling disruption to its AAF supply chain. A small, 10-employee Edmonton manufacturer, FilterTech Industries, supplied the necessary inventory. That cooperation later led the two firms to join forces in 1989. The Filter Shop took over some FilterTech products that became part of a line-up of about 100 products that serve the commercial market, institutions (schools, government, and health care-facilities, including operating rooms), high-tech (pharmaceuticals, microelectronics), manufacturing and resource industries (oil sands, forestry and mining). With the addition of FilterTech Industries to B.G.E., another Western Canadian-born product – Red Excell, was developed in conjunction with AAF. “The Red Excell combined with a BioPac filter is the Cadillac of filtration for our Western Canadian customers,” says Sutton. Meanwhile, The Filter Shop kept acquiring properties adjacent to its south-central Edmonton home base. Production, warehouse and administrative space, plus a storefront customer order desk, are all located in two buildings across 70,000 square feet. A new Filter Shop opened in Regina last year, joining existing outlets in Edmonton, Calgary, Saskatoon, Prince George, Fort McMurray, Vancouver and Winnipeg. The company now employs 160 people. In the face of lingering labour shortages in Alberta, The Filter Shop continues to look for ways to automate production. MacGillivray hopes that automation will allow the company to add a second shift without significant staff increases. Besides obtaining products better suited to Western Canadian conditions, customers find sourcing bulky and sometimes custom-built filter products means delivery within hours or days, rather than weeks. “We are not just offering solutions. 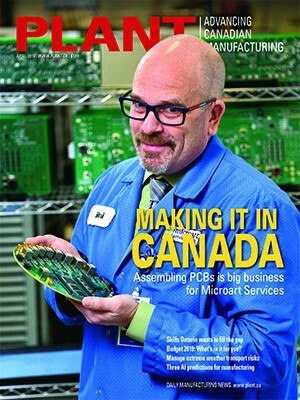 We have the ability to get our products to our customers quickly,” says Sutton. An emphasis on air-quality education doesn’t hurt either. While awareness about air exchange is far beyond where it once was, there is an ongoing need to educate designers, builders, operators and owners of buildings and industrial facilities. The Filter Shop personnel, Sutton included, continue to take the air-exchange message on the road at filter clinics organized for general and specialized audiences, such as school-board personnel and healthcare-facility managers. The teaching task is far from done. To function well, advanced and automated manufacturing, data centres and power generation and transmission facilities require environments to be clean down to the micron level. The increased popularity of distributed cooling and heating systems – as alternatives to large, centralized HVAC systems – offer efficiencies but also negatively impact airflow. MacGillivray says an informed clientele also benefits The Filter Shop. Nordahl Flakstad is an Edmonton-based freelance writer. 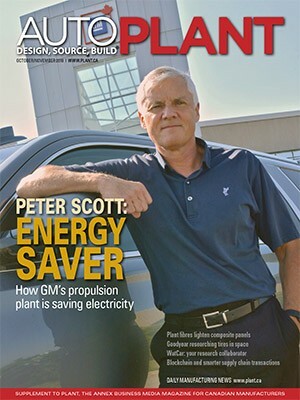 This article appears in the March/April 2013 edition of PLANT West.